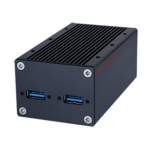 APCU3 unit is a compact PC USB3 Vision processing system. Its 1.33 up to 1.9 GHz Intel Atom 4th generation processor offers high computing performance, full compatibility to x86 operating systems such as Windows and Linux. 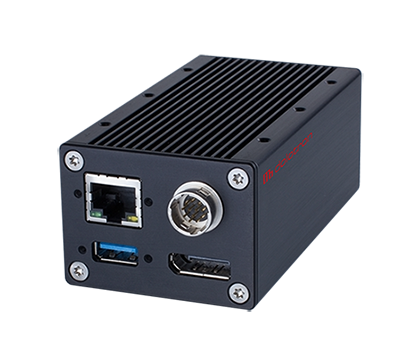 A APCU3 unit is a compact PC USB3 Vision processing system. Its 1.33 up to 1.9 GHz Intel Atom 4th generation processor offers high computing performance, full compatibility to x86 operating systems such as Windows and Linux. This processor is a E38xx Atom CPU of Intel’s embedded line which ensures long term availability and lowest power consumption. The unit is equipped with 2GB on board DDR3L RAM and an CFast (SATA) solid state drive. A monitor can be connected using the Dual-Mode DisplayPort interface. Gigabit Ethernet interface is for network connectivity. 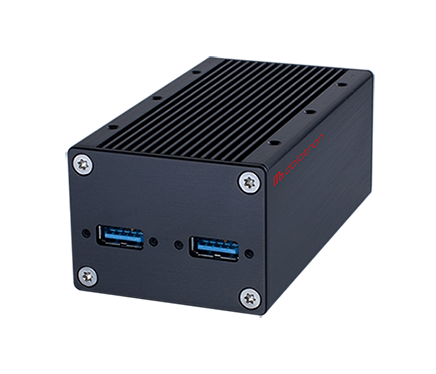 Back USB3.0 connection can be used to connect mouse, keyboard and other peripherals. 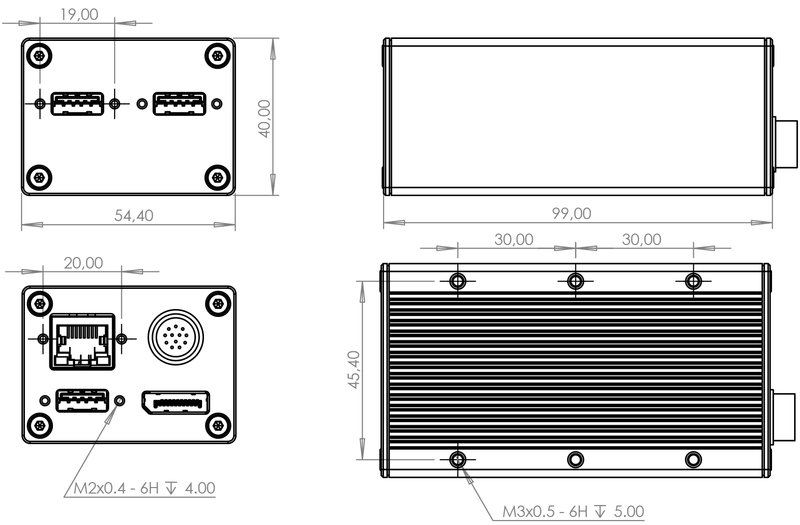 Front USB3.0 are used to connect USB3 Vision cameras. 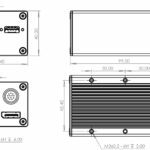 The unit has an integrated RS232 interface and optocoupled input/outputs on the board. Simple, robust, cost effective design without unnecessary features.